If you enjoy a down-home meal and supporting your local businesses, Connecticut’s marvelous mom and pop restaurants have just what you’re looking for. The mom and pop eateries of the Nutmeg State are family-owned spots serving up meals that taste like they came right out of Grandma’s kitchen. Utilizing historic family recipes and offering a cozy atmosphere, here are the best mom and pop restaurants in the state. Opened by two sisters in 2000, and currently owned by a different set of sisters, Caffe NV is a family-run and family-friendly affair that serves delicious Greek and Mediterranean food. This popular restaurant has won numerous accolades since it first opened due to their fresh cuisine that is reminiscent of eating a home-cooked, but nicer, meal. On the menu, you’ll find eggplant parm, chicken souvlaki, moussaka, and more. Don’t forget to save room for their desserts, which are a selection of amazing Greek pastries. Owned by John and Lisa Harris, the White Horse is a comfortable British-inspired pub with certainly more than simple pub food. The exquisite meals are more high-end than pub, and feature light options like a goat cheese and strawberry salad, as well as more filling options such as juicy burgers, bangers and mash, and chestnut beer braised short ribs. Everything on the menu is lovely and the atmosphere will transport you directly to the United Kingdom. Hearty Polish food that will put meat on your bones is the only thing you’ll find on the menu at Staropolska, a family-owned Polish restaurant in hard-hittin’ New Britain. 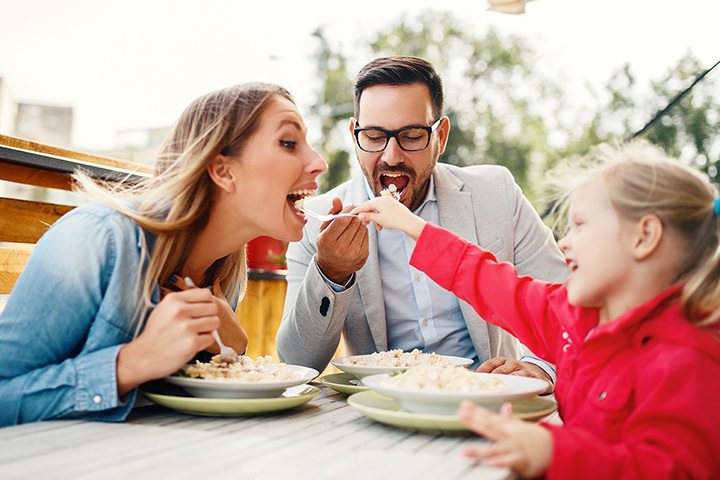 Using family-recipes, you know you’ll be dining on traditional comfort food such as potato pancakes served with sour cream, pierogis with a variety of fillings, chilled beetroot soup, borscht, and more. Definitely don’t come while on a diet. Located near the town line of Waterford and New London, Supreme Pizza is well-known in both communities. This friendly local spot has been family-owned and operated for almost 40 years. Their grinders and pizza are delicious here, but the real stand outs are the lasagna and amazing rice pudding, perhaps the best in the state. Stop in to pick up lunch or dinner for your family, or grab a party tray of sausage and peppers, lasagna, or baked ziti to feed a hungry crowd. Owned by the same family for generations, Ashlawn Farm Coffee still stays true to their farming roots but has expanded to focus on coffee roasting and brewing as well. This lovely café serves not only delicious coffee, but also great pastries such as beignets covered with powdered sugar, toasted sandwiches, and more. Ashlawn Farm is the perfect place to stop for a light lunch or afternoon pick-me-up. Vegans and vegetarians can enjoy this husband and wife-owned restaurant that focuses solely on plant-based foods. Your taste buds will be excited by the variety of dishes found at G-Zen since meals are changing daily based upon what is fresh from local farms. You could tuck into broccoli tahini bisque, raw tacos, G-fries, and more. Using your hands and a piece of injera, dig into amazing Ethiopian and Eritrean dishes at Teff. This family-owned restaurant offers gluten free and vegan options to satisfy all diners. While at Teff, don’t forget to try their home-made tej, which is Ethiopian honey wine that melds perfectly with the strong flavors of Ethiopian cuisine and slightly sour injera. Stop in for a thick crust pizza pie at East Side Pizza, a family-owned and operated establishment that has been in the area for over 30 years. Delicious options here include lasagna, Greek salads, and a wide variety of pizzas and grinders. With reasonable prices, East Side Pizza is a great option for take-out on a busy weeknight or a party after a ball game. Located at the Shennecossett Golf Course, Par 4 Restaurant is a husband and wife-owned restaurant that often even employs their sons. Par 4 serves typical American cuisine, but the highlight is really when traditional Greek food is on the menu. The bar is also hopping in the evening.